周华兴, 胡玉婷, 段国庆, 凌俊, 江河, 潘庭双. 基于线粒体细胞色素b基因序列的新安江流域温州光唇鱼群体遗传研究[J]. 渔业科学进展, 2019, 40(2): 43-50. DOI: 10.19663/j.issn2095-9869.20180226002. ZHOU Huaxing, HU Yuting, DUAN Guoqing, LING Jun, JIANG He, PAN Tingshuang. 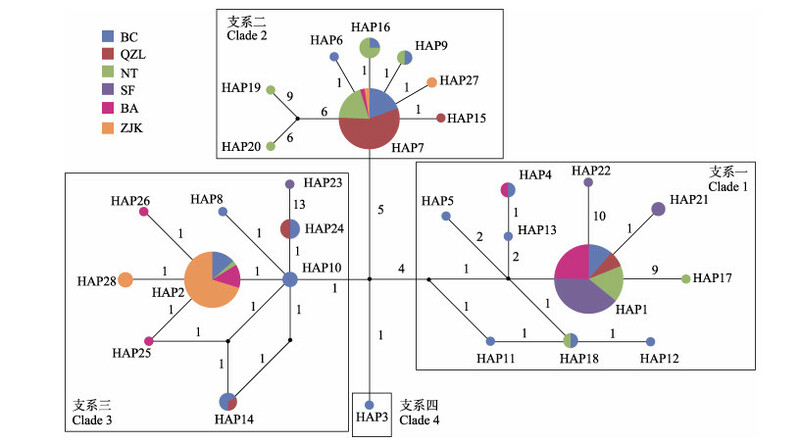 Population Genetic Analyses of Acrossocheilus wenchowensis in Xin'an Basin Based on the Mitochondrial DNA Cytochrome b Gene[J]. Progress in Fishery Sciences, 2019, 40(2): 43-50. DOI: 10.19663/j.issn2095-9869.20180226002. Corresponding author: ZHOU Huaxing, E-mail: hxzhou1987@126.com. Abstract: In order to clarify the variations in population genetic patterns of Acrossocheilus wenchowensis in the Xin'an Basin, 170 individuals from 6 different geographic populations were collected. Subsequent analyses of population genetic structure and historical demography were carried out using the mitochondrial DNA cytochrome b (mtDNA cyt b) gene. The results suggested that the genetic diversity of different geographic populations varied greatly, and that of A. wenchowensis was low. 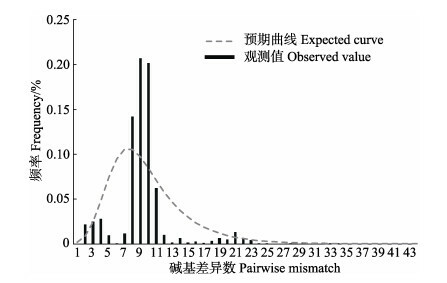 Whereas different levels of genetic differentiation were detected among the 6 populations, molecular genetic variation was mainly detected within populations owing to the short divergence time. Population expansion had occurred approximately 3.35 million years ago, while the global temperature was freezing. The expansion had not been affected by low temperatures. 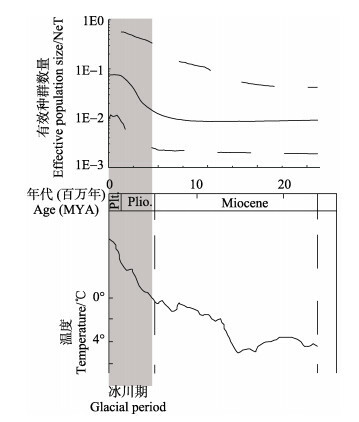 Therefore, the Xin'an Basin may have been a potential refuge during the glacial period. 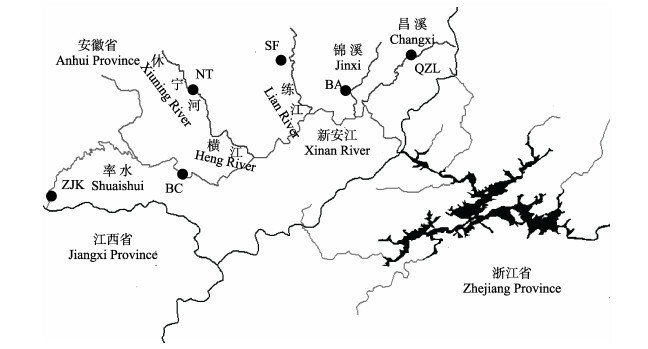 Reconstruction of the ancient area suggested that the Shuaishui and Lian rivers may have been the areas of A. wenchowensis origin in the Xin'an Basin. 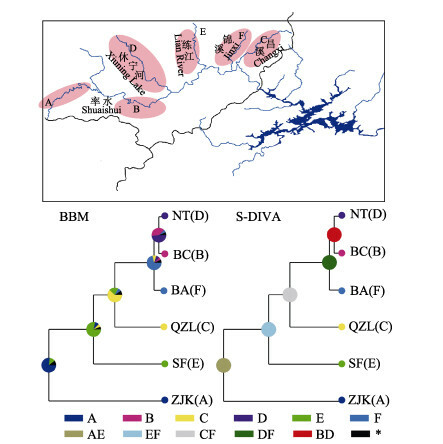 After population diffusion, isolation, and differentiation, the current distribution patterns emerged. 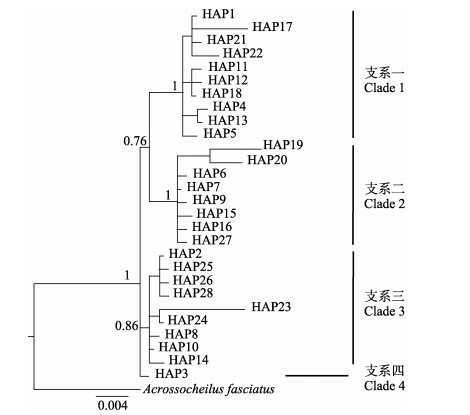 The identification of the original population provides a theoretical basis for the conservation of A. wenchowensis in the Xin'an Basin. BC 毕村Bicun 率水中游Shuaishui midstream 30 118°5'43.8" 29°39'24.48"
QZL 杞梓里Qizili 昌溪Changxi 30 118°44'53.88" 30°0'10.8"
NT 南塘Nantang 横江Heng River 25 118°7'14.16" 29°54'1.08"
SF 上丰Shangfeng 练江Lian River 27 118°21'11.88" 29°59'33"
BA 北岸Bei’an 锦溪Jinxi 28 118°34'14.16" 29°54'12.96"
ZJK 朱家坑Zhujiakeng 率水上游Shuaishui upstream 30 117°42'54" 29°37'10.2"